Backyardigan theme parties are very popular with small children. For those of you who do not have kids, The Backyardigans is a show on Nick junior Channel. I was supper excited when my client contacted me to make this Backyardigan theme cake since I am very familiar with the show, my little kids love it. 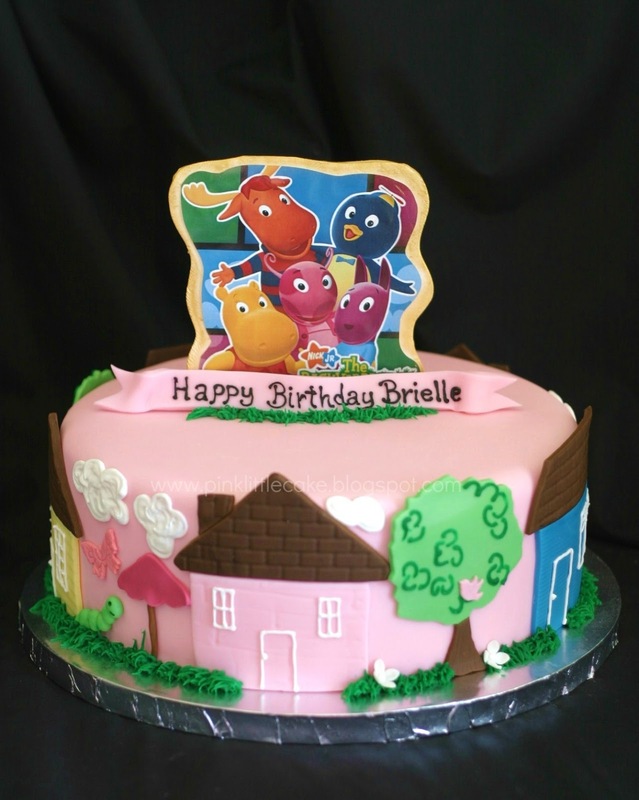 All decorations are hand made and made with fondant. The topper was printed in edible sugar sheets.